What words come to mind when you think of Gordon? What are some of the defining characteristics of this place? 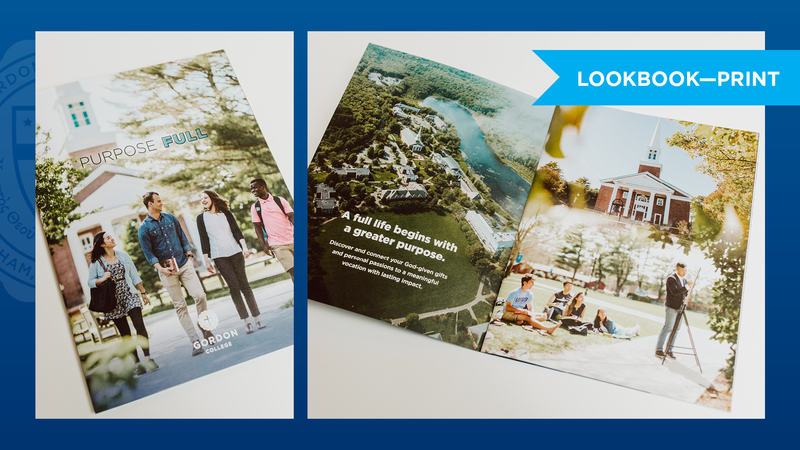 These are just a few of the many questions that the College asked its stakeholders during a year-long brand project that concluded over the summer. 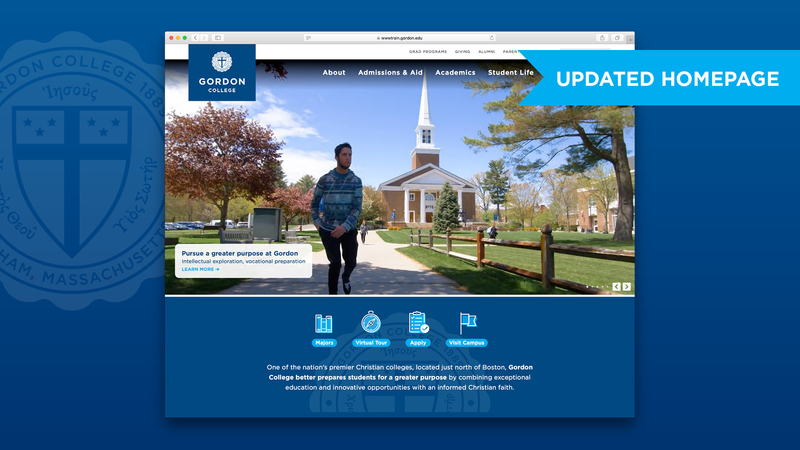 The goal of the project was to organically locate key aspects of the “Gordon DNA.” These elements would then inform a new institutional messaging framework based on market research and extensive feedback from alumni, parents, church leaders, current and prospective students, faculty, staff and guidance counselors. Through more than 40 community interviews, 1,400 survey responses and 10 focus groups, many key characteristics of Gordon emerged. It became clear that Christian faith remains foundational to all that Gordon is—individually, collectively, institutionally—and fuels a spirit of support and collaboration, a heart for service and a commitment to academic freedom. 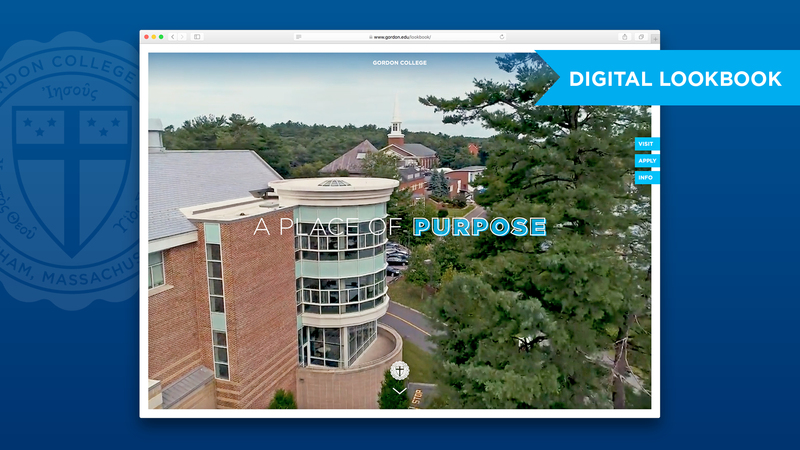 Notable changes being implemented this fall, based on community feedback, include retiring “Lives Worth Leading” as an institutional slogan and moving toward a new flexible branding strategy, which doesn’t rely on a single tagline. This approach allows the Gordon story to authentically connect with each audience, underscoring its value and highlighting its distinctives. 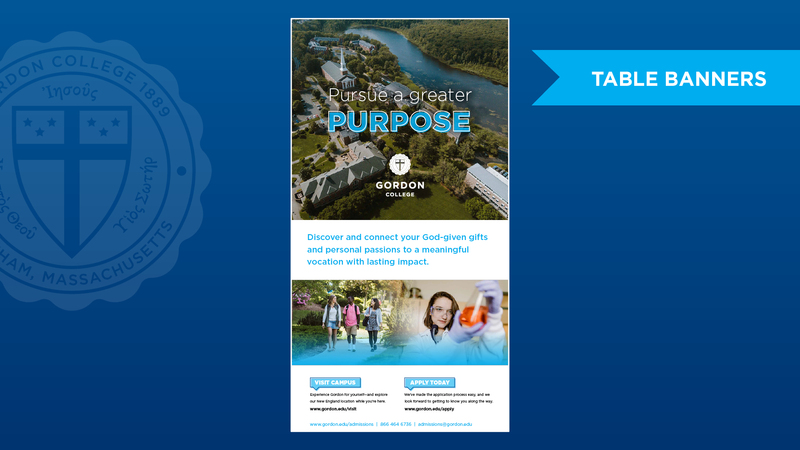 As a premier and globally connected Christian college located in greater Boston—the global hub of innovation and higher education—Gordon is a leadership lab where students learn to serve, where tough questions are tackled and where the practical applications of big ideas are sharpened. The essential outcome of the Gordon experience? Students are better prepared for a greater purpose.